Third year in a row we organize event called "Open days". 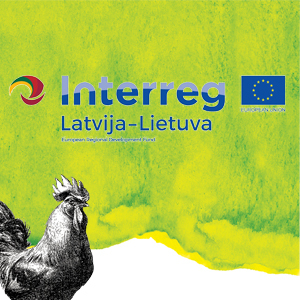 This year this event takes part in Lithuania and Latvia on different weekends. On 3-5 of May people can visit Latvian "Open days" objects and on 10-12 of May Lithuanian. In both countries rural farms open their doors to visitors all over country. They proudly present their produce and offer special excursion programmes to introduce production and farm life. Animal husbandry farms attract people who enjoy seeing baby lambs, calves, rabbits and horses as they are born in spring. Gardening farms are prepared to demonstrate plants and seedlings. Visitors are happy to meet biological farmers to see how eco vegetables and fruit are grown. Craftsmen offer master classes of traditional crafts – bread and cheese making, pottery, weaving, etc. Some farms make a special treat offering a soup made on a bonfire. There are special programmes and discounts on every participating farm. This is a true countryside festival where urban meets rural. LCTA kindly invites farms, homesteads, museums, community centers and other interesting objects to open the gates for people. And we hope that third year in a row people will spend amazing time in rural and will fall in love with it.